David Christian Gaise was born on 9 November 1911 in Buffalo, Erie County, New York. He married Dorothy Carr, daughter of William Snell Carr and Kathryn Augusta Glaser, on 7 May 1938 in Stapleton, Staten Island, Richmond County, New York, at Trinity Lutheran Church, with Dr. Frederick Sutter officiating. The following appeared on 9 May 1938 in the Schnectady Gazette: (Central Bridge, May 8) Miss Dorothy Carr, daughter of Mr. and Mrs. William S. Carr of Grymes Hill, Staten Island, and David C. Gaise, son of Mr. and Mrs. Charles D. Gaise of Niagara Falls, were married Saturday in Trinity Lutheran Church, Stapleton, Staten Island, by Dr. Frederick Sutter. The attendants were Miss Eleanor Hagemann, cousin of the bride, and Peter Elstad, both of Staten Island. Miss Carr is a graduate of Curtis High School and Packard Institute in Manhattan. Mr. Gaise was graduated from Wagner College, Staten Island, and Hartwick Seminary, Manhattan. After a short wedding trip, Mr. and Mrs. Gaise will take up his duties as pastor of Bethany Lutheran Church. The following appeared on 19 June 1944 in the Schenectady Gazette: (Schoharie News) Rev. and Mrs. David C. Gaise and daughters, Carol and Jean, of Albany, Mrs. Rose Boehner of Buffalo and Mrs. Charles D. Gaise of Niagara Falls were Thursday guests of Mrs. Webster G. Gardner and family. The following appeared on 13 May 1959 in the Buffalo Courier-Express: [Died] In Niagara Falls, Monday, May 11, 1959, Charles D. Gaise of 2442 Willow Ave., husband of Adelaide Borth; father of Rev. David C. Gaise of Kingston, N.Y; also survived by two granddaughters. Funeral services at the chapel of Cornell & Daggett Inc., 1327 Main St., Niagara Falls, Thursday, May 14, at 1:30 p.m. The Rev. Alvin H. Butz Jr. officiating. Interment Memorial Park Cemetery. David Christian Gaise became a widower at the 2 February 1996 death of his wife Dorothy Carr. David Christian Gaise died on 13 September 2009 at age 97 in Lake Katrine, Ulster County, New York, at Ten Broeck Commons. He was interred at First (formerly Orient) Baptist Church Cemetery, Laurelton, Ocean County, New Jersey. The following appeared on 16 September 2009 in the Asbury Park Press: The Reverend David C. Gaise, 97, died Sunday, Sept. 13, 2009, at Ten Broeck Commons in Lake Katrine. Rev. Gaise was Pastor Emeritus of Redeemer Lutheran Church, Kingston, where he served as pastor for 30 years. Rev. Gaise had moved from his home in Whiting to Ten Broeck Commons on Aug. 10, 2009. Rev. Gaise was born Nov. 9, 1911 in Buffalo, N.Y. and the only son of Charles and Adelaide Borth Gaise. Rev. Gaise was predeceased by his wife, Dorothy, who died in 1996. He is survived by two daughters, Carol Crews and her husband John of Port Ewen, and Jean Swedberg and her husband John of Staten Island; two grandsons, John David Crews of Port Ewen, and Christopher Crews of Kingston; a sister-in-law, Ruth Denise of Monroe Township; two nieces, Susan Harris and her husband Stan of New Canaan, Conn., and Jan Loughran and her husband Christopher of Princeton Junction; a nephew, David Denise and his wife Gail of Princeton; and a dear friend, William Edwards of Manchester, who cared for him for four years. Calling hours will be from 2 to 4 p.m. and 7 to 9 p.m. Wednesday, Sept. 16 at the Keyser Funeral Service, 326 Albany Ave., Kingston, N.Y. A service of Christian Burial will be held at 11 a.m. Thursday, Sept. 17 at the Lutheran Church of the Redeemer, 104 Wurts St., Kingston. Burial will be at 1 p.m. Friday, Sept. 18 at the Laurelton Baptist Cemetery, Brick. In lieu of flowers, the family requests memorial donations to Redeemer Lutheran Church, 104 Wurts St., Kingston, NY 12401, or Wagner College, One Campus Road, Staten Island, NY 10301. At the annual reunion luncheon in June, the Wagner College National Alumni Association honored seven alumni, one posthumously. The 2010 NAA alumni awards recognized a renowned doctor, an Army nurse, a long-serving pastor, and even a former undercover government agent. . . . The Reverend Lyle Guttu Award posthumously recognized Rev. 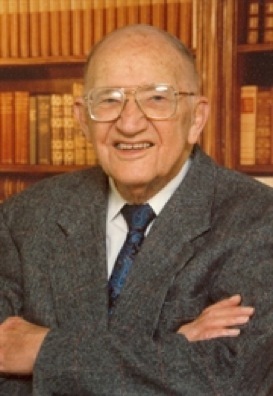 David Gaise ’35, who passed away last year, for his spiritual contributions to his community. Pastor of Redeemer Lutheran in Kingston, New York, for 30 years, pastor emeritus for 32 years more, Gaise also served his community through leadership in churches, schools, and health care. He served his alma mater, too, both as a trustee from 1956 through 1970 and as synod archivist from 1977 to 1987. Although he retired from full-time church ministry, he never stopped being a pastor, caring for those around him and enriching their lives with his good humor and understanding.